Finally, the exciting world of custom bikes has not left the three-wheeled world alone. 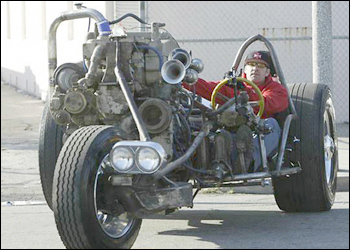 We have all seen the Exile trike by Russell Mitchell and the crazy semi engine turned trike by Mr. Jesse James, but there are others out there that turn out really nice trikes for an affordable price. Other custom builders like Covington’s cycles make the occasional trike as well as high end OEMs like Bourget Bike Works. You can’t deny that the trike is becoming trick. 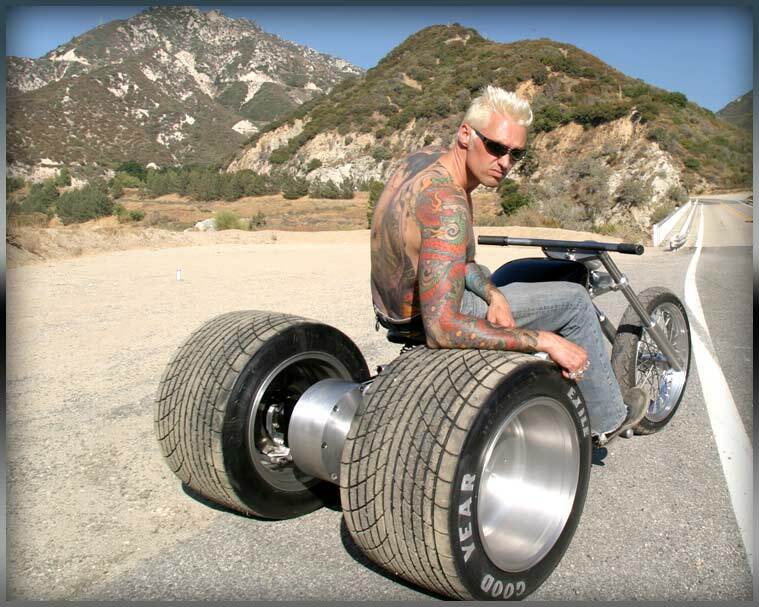 The last few posts have focused on the trike as art form and ride able machine. 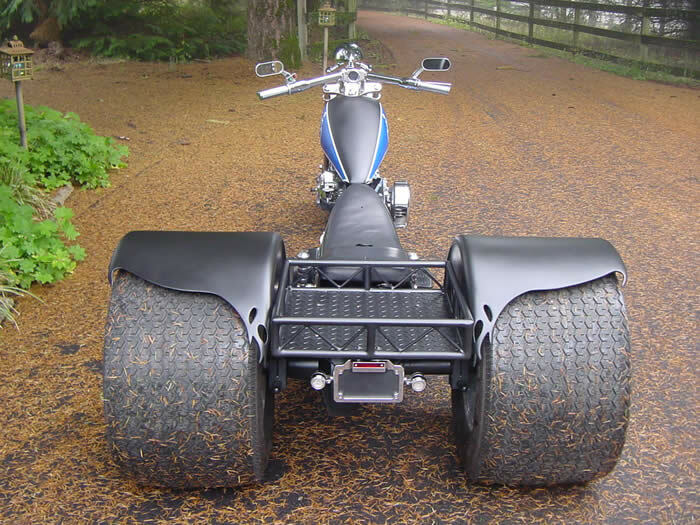 As stated, I do not have any personal experience on trikes, but am hoping to get a demo machine to try out soon. As soon as I do, I will be letting you know. Until then, keep your feet on the pegs for a change and enjoy profilin’ on a three-wheeled machine. Next up? Sidecars! 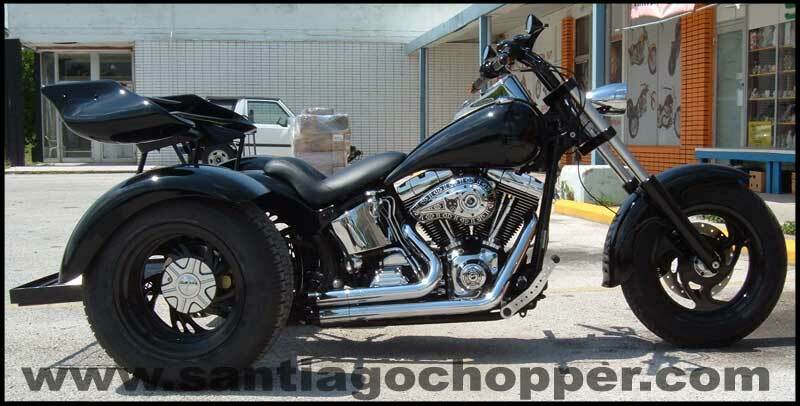 This entry was posted on October 17, 2008 at 1:39 PM and is filed under American Motorcycle, ArtBiker's Thoughts, Biker News, Custom Bike Show, Custom Motorcycle, Harley-Davidson, Motorcycle Industry News, Product Reviews, Uncategorized with tags custom trikes, vw trike. You can follow any responses to this entry through the RSS 2.0 feed. You can leave a response, or trackback from your own site. hey, my name’s mike. i just picked up a vw trike and i don’t know much about trikes or vw engines. i know that’s not very smart, but hey, it was free, heh. anyway, i wanted to know how to figure out what year and type of engine it was to be able to get a shop manual, and wondered if you could help me figure that out. any other advice you have would be awesome too. thanks a lot. Thanks for reading the blog… the best guess I have is to look for a stamped identification number, often underneath the generator pedestal or near the center of the case halves. 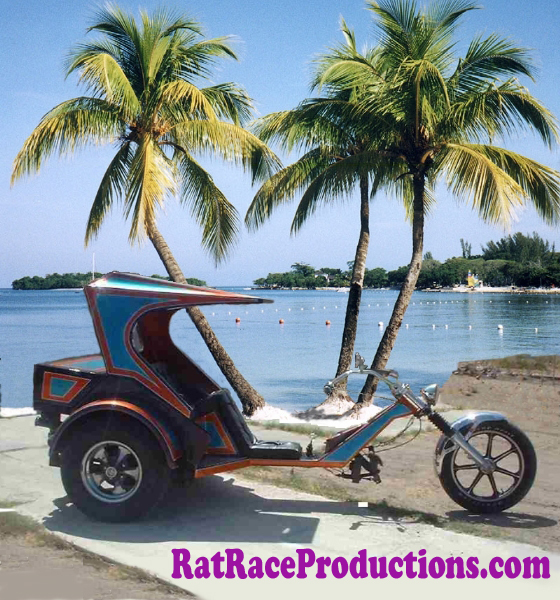 Also, you might try the folks at Rat Race as they specialize in VW Trike builds. And man, free??? Wow, some guys have all the luck! Send us pics and tell us how you like it!